Ellen Page ('Juno') is famous for her defence and support of the LGBT community in Hollywood. She recently used her platform on Twitter to speak out against Chris Pratt ('Guardians of the Galaxy') for belonging to a church which is infamous for its support of anti-LGBTQ practices, including conversion therapy. 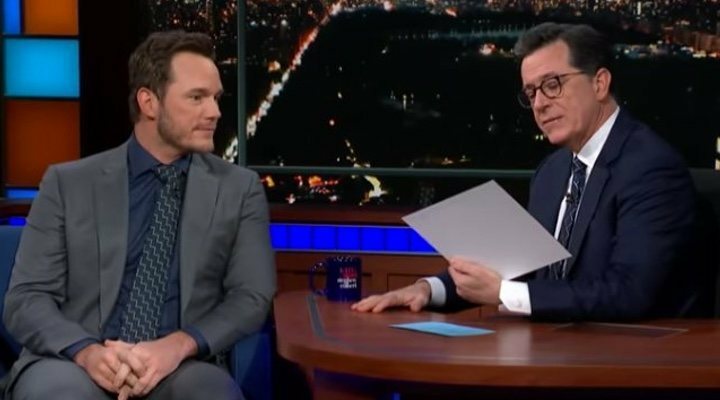 Pratt appeared on the Late Show with Stephen Colbert to promote his latest film, 'The LEGO Movie 2', when he spoke about his three-week long fast, recommended to him by his Pastor. Pratt has now responded to this criticism, denying that his church has ever had any links to ant-LGBTQ practices. 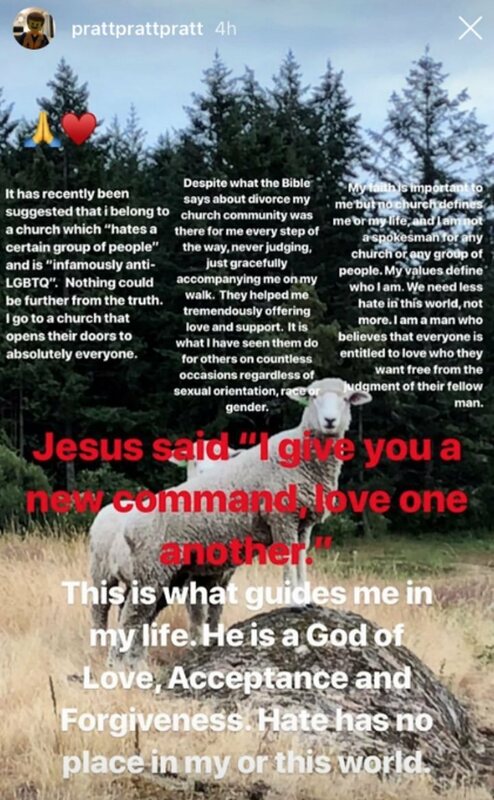 On his Instagram account he posted the following photo to his story, in which he declares that his church "opens their doors to absolutely everyone" and says that, despite the Bible's views on divorce, they were there for him "every step of the way" throughout his split with Anna Faris. The media has speculated whether Pratt belongs to Hillsong or Zoe Church, seeing as the actor did not specifically mention the name of the congregation on Colbert's show. But Zoe Church was certainly promoting a period of fasting during the same period of time in which Pratt himself was fasting. Additionally, various sources have claimed that this is the church which Pratt and his new fiancée, Katherine Schwarzenegger, often attend. Zoe and Hillsong are both Christian churches which began in Australia and spread to the United States, rapidly becoming some of the biggest religious communities in the world. The two groups are, in reality, cut from the same cloth; they both supported conversion therapies for several years and have not always been accepting of LGBTQ people. As well as Pratt, several other Hollywood stars have spoken about belonging the communities of faith, including Justin Bieber, Hailey Baldwin, Selena Gomez, Kendall Jenner and Kevin Durant. Should stars be held accountable for the religious group to which they belong if it supports harmful messages like these?